Time is collapsing in on itself. The villainous Extant has ushered in a series of black holes that are swallowing the universe - past, present and future! Superman, like everyone else in the DC Universe, has seen time loops affect his life. The result? Krypton never exploded. The Kents never found a baby Kal-El in a field. Superman isn't the protector of Metropolis. Then, after the crisis in time has been averted, new details about the origins of Superman, Superboy and Steel are revealed. 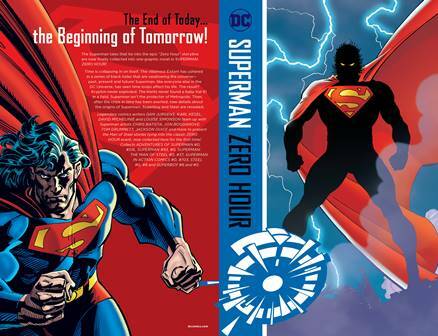 Comics writers Dan Jurgens, Karl Kesel, David Michelinie and Louise Simonson team up with Superman artists Chris Batista, Jon Bogdanove, Tom Grummett, Jackson Guice and more to present the Man of Steel stories tying into the classic Zero Hour event, now collected here for the first time. Collects Adventures of Superman (1987-2006) #0, #516, Superman #93, #0, Superman: The Man of Steel #0, #37, Superman in Action Comics #0, #703, Steel #0, #8 and Superboy #8, #0. Hal Jordan was once the leader of the Green Lantern Corps...but now the Corps is missing, and Hal is the universe's lone renegade Green Lantern, wielding a weapon more powerful than any power ring. With an entire universe in need of protection, Hal has only one place he wants to be-back home in Coast City, USA, looking after his brother and his beloved niece and nephew. But when tragedy strikes Coast City, Hal finds himself embroiled in an international conflict just as complex as any intergalactic peacekeeping mission. Worse, Hal becomes unsure he has what it takes to protect the people he loves...and he's not the only one who feels that way. 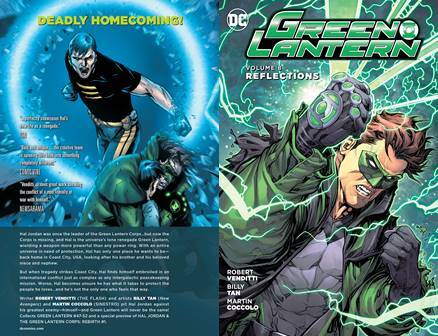 Writer Robert Venditti (THE FLASH) and artists Billy Tan (New Avengers) and Martin Coccolo (SINESTRO) pit Hal Jordan against his greatest enemy-himself-and Green Lantern will never be the same! 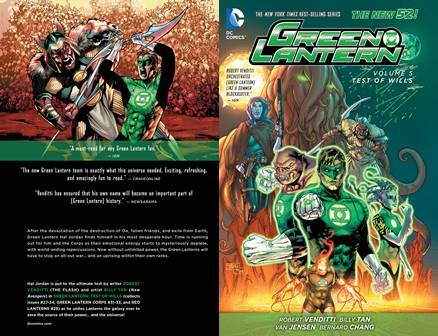 Collects GREEN LANTERN (2011-2015) #47-52 and a special preview of HAL JORDAN & THE GREEN LANTERN CORPS: REBIRTH #1. Hal Jordan's harrowing galactic transformation continues! Once leader of the Green Lantern Corps and member of the Justice League, Hal Jordan is now a fugitive hopping from planet to planet trying to stay one step ahead of whatever bounty hunter is on his trail. But Hal didn't leave the Corps empty-handed; he took with him one of the most powerful weapons in the universe-and he's not afraid to use it. And if Hal's life wasn't in enough turmoil, the Green Lantern Corps has gone missing, and he takes it upon himself to become a one-man Corps. 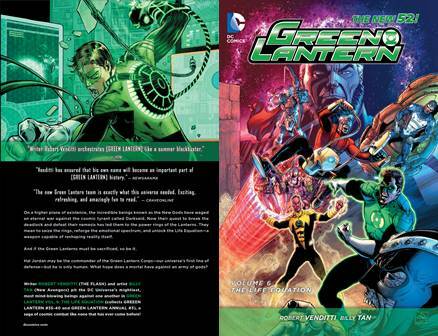 Collects GREEN LANTERN SNEAK PEEK #1, GREEN LANTERN (2011-2015) #41-46 and GREEN LANTERN ANNUAL #4! On a higher plane of existence, the incredible beings known as the New Gods have waged an eternal war against the cosmic tyrant called Darkseid. Now their quest to break the deadlock and defeat their nemesis has led them to the power rings of the Lanterns. They mean to seize the rings, reforge the emotional spectrum, and unlock the Life Equation-a weapon capable of reshaping reality itself. Hal Jordan may be the commander of the Green Lantern Corps-our universe's first line of defense-but he is only human. What hope does a mortal have against an army of gods? Writer ROBERT VENDITTI (THE FLASH) and artist BILLY TAN (New Avengers) pit the DC Universe's mightiest, most mind-blowing being against one another in GREEN LANTERN VOL. 6: THE LIFE EQUATION (collects GREEEN LANTERN (2011-2015) #35-40 and GREEN LANTERN ANNUAL #3), a saga of cosmic combat like none that has ever come before! Hal Jordan, the greatest Green Lantern in the history of the Corps, has lost everything. Friends have died, Oa has been destroyed, and now he must say goodbye to Earth! As war threatens to dismantle the Green Lantern Corps, Hal does the unthinkable: He asks for help. Can he and a team of handpicked Lanterns remove a deadly weapon from the enemy's arsenal, or will they be dealt their first defeat? 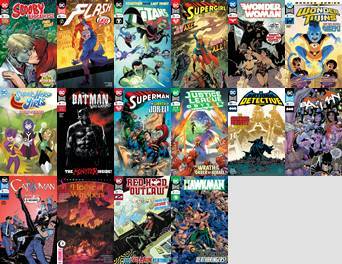 Collects Green Lantern (2011-2015) #27-34 and Green Lantern Corps #31-33. Just as Hal Jordan, John Stewart and Guy Gardner are putting back together the Green Lantern Corps, lights across all of the different colored Corps begin to flicker. Lanterns from all over the universe begin to lose power, but unlike times' past, the reasons for the outage don't seem to be in-fighting between one another. Allying with enemies and friends alike, Hal links the answers to the mysterious alien Relic and their confrontations will leave all the corps forever changed. GREEN LANTERN VOL. 4 begins a brand new era for the entire emotional spectrum, from writer Robert Venditti (X-O Manowar) and artist Billy Tan (New Avengers). 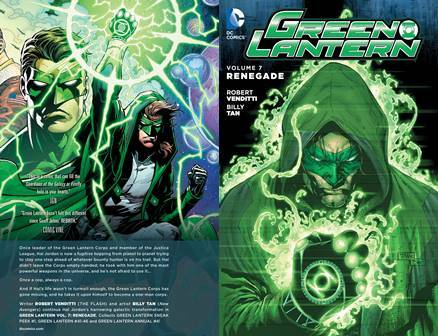 This volume collects GREEN LANTERN (2011-2015) #21-26, #23.1: Relic, GREEN LANTERN ANNUAL #2. 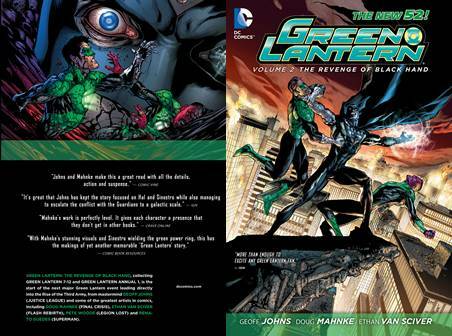 Comics' hottest writer Geoff Johns continues his historic run on one of the best-selling titles of DC Comics The New 52, GREEN LANTERN! The universe is in shambles and the Guardians are the cause. 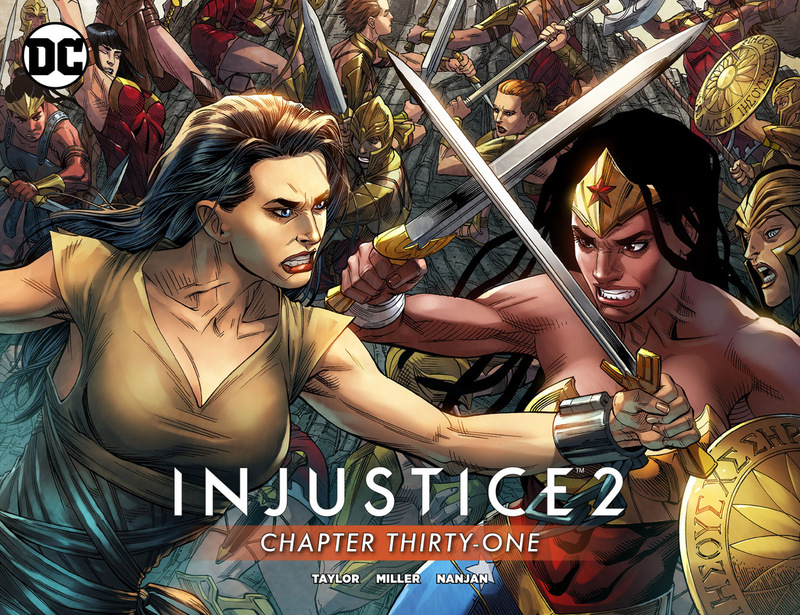 Their mysterious Third Army has risen across the cosmos like a plague, destroying everything in its path and Hal Jordan and Sinestro are nowhere to be found. It is up to wrongfuly accused Simon Baz to clear his name and become the hero that the Corps needs in order to get to the bottom of Hal and Sinestro's disapperance and the Rise of the Third Army! Collects issues (2011-2016) #13-20, 0. 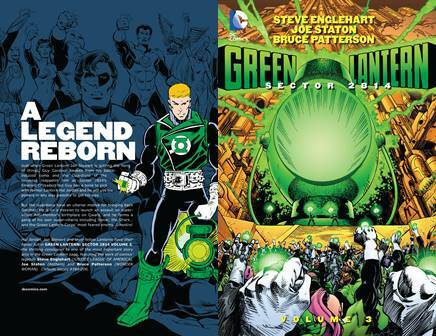 Comics hottest writer Geoff Johns (JUSTICE LEAGUE, AQUAMAN, BLACKEST NIGHT, GREEN LANTERN, THE FLASH) joins artist Doug Mahnke to on one of DC Comics The New 52's hottest titles, GREEN LANTERN! As part of the DC Comics--The New 52, the first six issues of the star-spanning series from superstar writer Geoff Johns and artist Doug Mahnke is collected here! In the aftermath of a deadly showdown between the Green Lantern Corps and a mysterious foe from the past, Hal Jordan has been stripped of his ring. 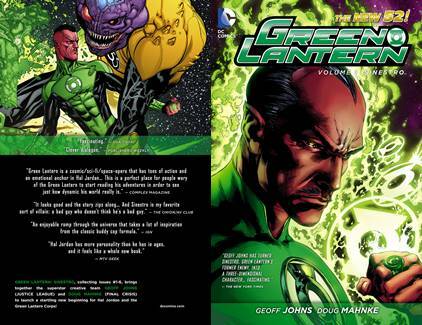 Left standing is an unexpected new Green Lantern in town: Sinestro! And now, this renegade GL has set a course for Korugar with one purpose: To free his homeworld from the scourge of his own Sinestro Corps, with the not-so-willing help of Hal Jordan! 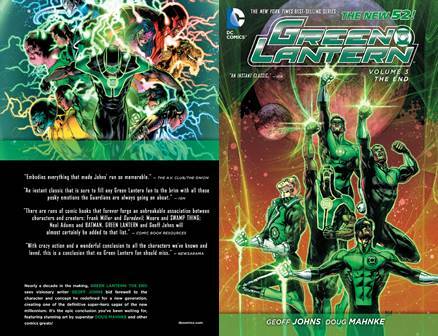 The volume collects issues 1-6 of Green Lantern (2011-2016), part of the DC Comics--The New 52 event. 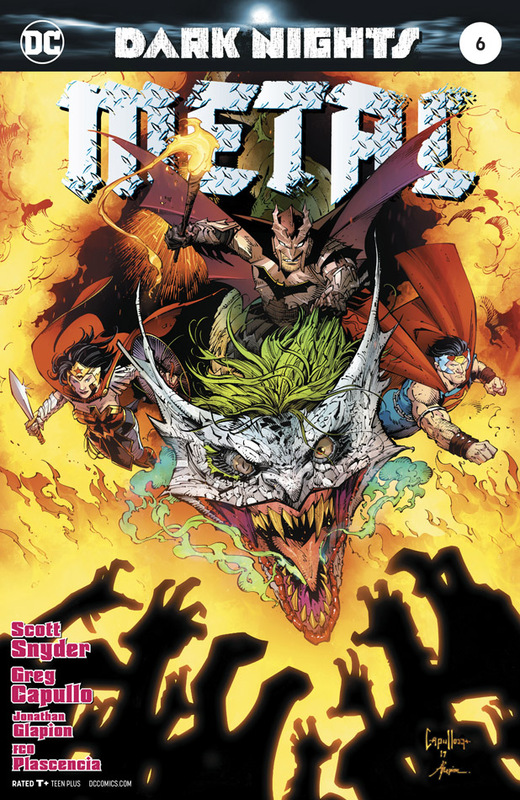 The intricately conceived Fourth World begins here with the stories that introduced familiar and fearsome faces including Darkseid, Morgan Edge, the new Newsboy Legion, Intergang and much more, as Jimmy Olsen scrambles to deal with a changing world, hordes of clones and more! Plus, are you ready for...Goody Rickles?! 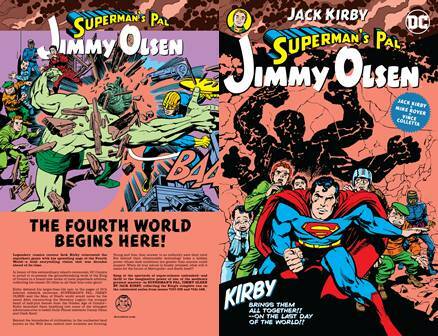 Collects SUPERMAN'S PAL, JIMMY OLSEN (1954-1974) #133-139 and #141-148. 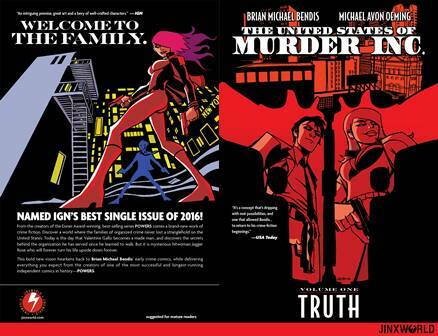 From the creators of the Eisner Award-winning, best-selling series Powers comes a brand-new work of crime fiction in The United States of Murder Inc. Vol. 1: Truth. 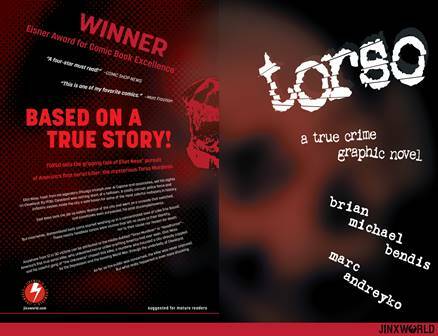 Discover a world where the families of organized crime never lost a stranglehold on the United States. Today is the day that Valentine Gallo becomes a made man...and discovers the secrets behind the organization he has served since he learned to walk. But it is mysterious hitwoman Jagger Rose who will turn his life upside down forever. 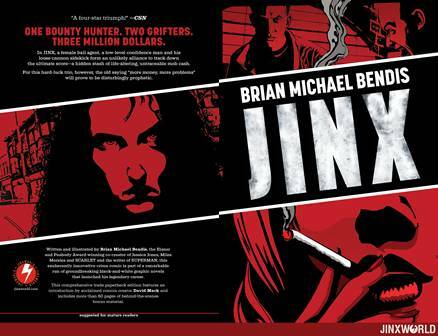 This bold new vision hearkens back to Brian Michael Bendis' early crime comics, while delivering everything you expect from the creators of Powers, one of the most successful and longest-running independent comics in history. 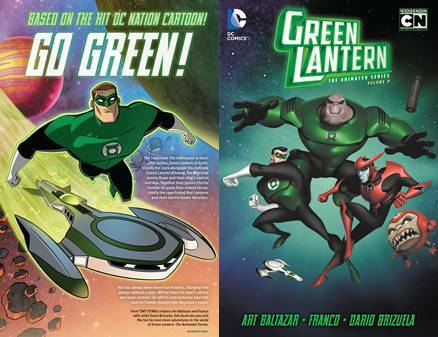 In this second GREEN LANTERN: THE ANIMATED SERIES collection, featuring issues #6-11, Hal Jordan leads his team into battle against Atrocitus and a horde of other Red Lanterns! 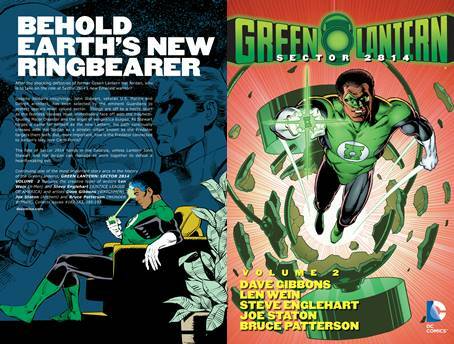 In this new collection of 1980s Green Lantern adventures, John Stewart clashes with Guy Gardner to see who will be the Green Lantern of Earth. 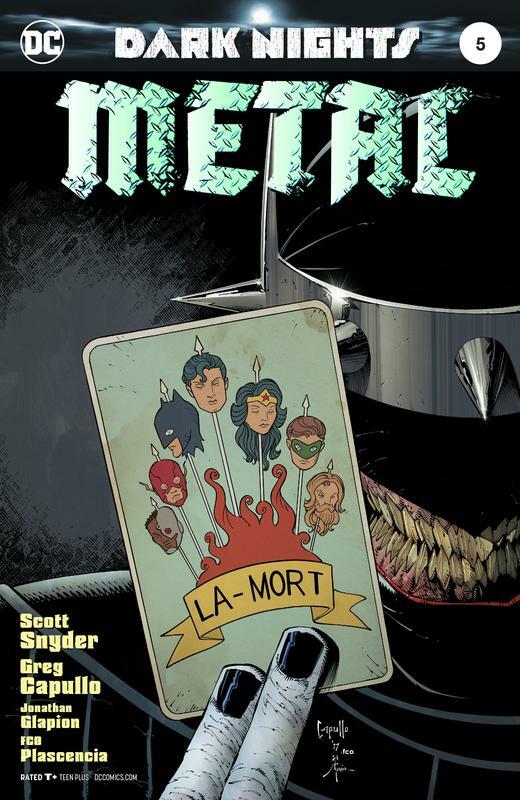 And while Stewart battles Harbinger during the Crisis on Infinite Earths, Gardner recruits enemies of the Green Lantern Corps to stand against an evil that could destroy the entire universe--including The Shark, Hector Hammond, Sonar, Goldface and more! As the two factions fight each other--John Stewart and the Green Lantern Corps vs. 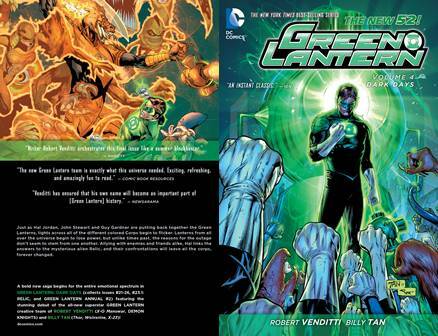 Guy Gardner and the villains--a fallen Lantern's ring finds Hal Jordan, who reclaims his place in the Corps. Collects GREEN LANTERN (1960-1986) #194-200. The mid-1980s run of Green Lantern tales continues with the final stories by the team of writer Len Wein (creator of Wolverine and Swamp Thing) and artist Dave Gibbons (Watchmen). Over the course of these 1980s tales from GREEN LANTERN (1960-1986) #182-183 and 185-189, John Stewart becomes the new Green Lantern of Earth, only to face the threats of Eclipso and Star Sapphire. Plus, John Stewart battles his predecessor as Green Lantern of Earth, Hal Jordan! In 1984, DC Comics introduced British artist Dave Gibbons to U.S. readers with Green Lantern #172, the start of a popular run by Gibbons and writer Len Wein, best known as the creator of both Swamp Thing and Wolverine. Over the course of thirteen action packed issues, Green Lantern battled some of his greatest foes, clashed with the Guardians of the Universe, and was replaced by another human Green Lantern - John Stewart! This title is a showcase for the art of Dave Gibbons, who moved straight from Green Lantern to Watchmen, the best-selling graphic novel of all time. 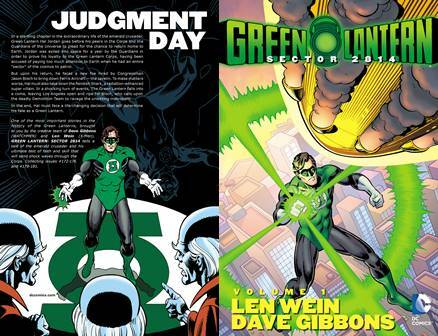 Gibbons returned to the world of Green Lantern in 2007 as the writer of the new series Green Lantern Corps. Collecting GREEN LANTERN (1960-1986) #172-176 and 178-181, featuring stories from 1984 by Len Wein and art by Dave Gibbons! Don't miss Hal Jordan's battles with some of his greatest foes and his clash with the Guardians of the Universe!